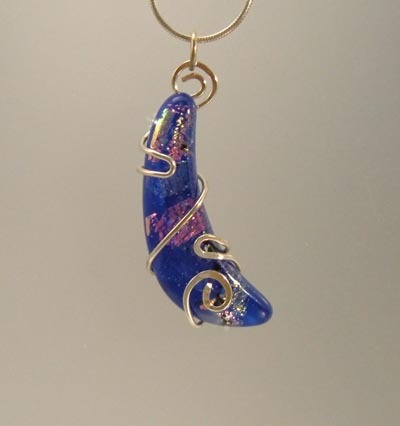 Imagine how this unique artisan pendant would look on you. 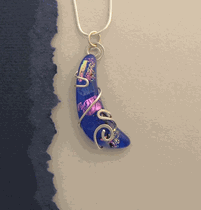 Incandescent shades of blue and magenta are stunning, especially when the light reflects off the pendant. Leather, silver or satin cord would be absolutely perfect. 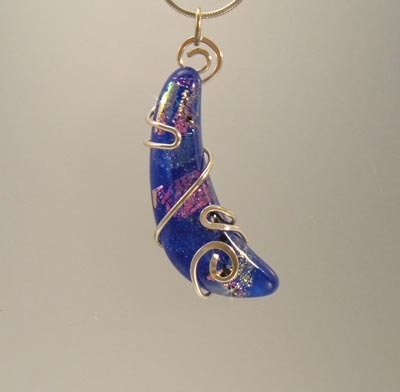 Handcrafted dichroic art glass pendant is crescent shaped and carefully wrapped in sterling silver. 2� in length, �� at its widest. Complementary 24" SP link included. 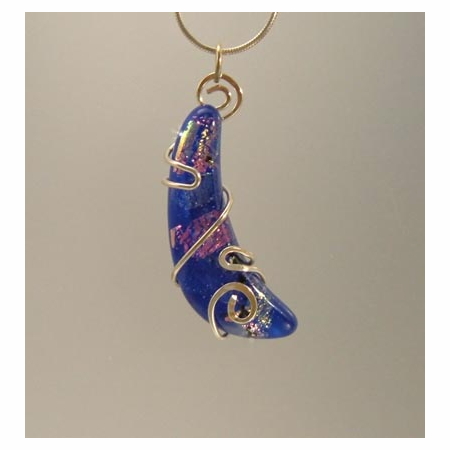 If you're enchanted by the moon this pendant necklace was made for you.